FlatMode: Snakes on a Riding Spot! 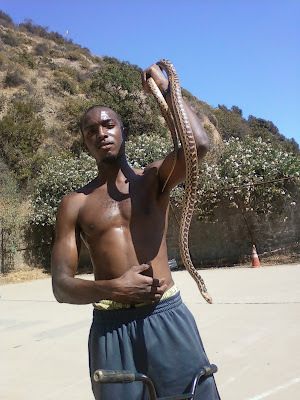 When you're up in the Hollywood Hills, you never know what animals you might run into, wild animals, tame animals, party animals... Ahmed and I went up to the Hills for a session and a snake dropped in on us. 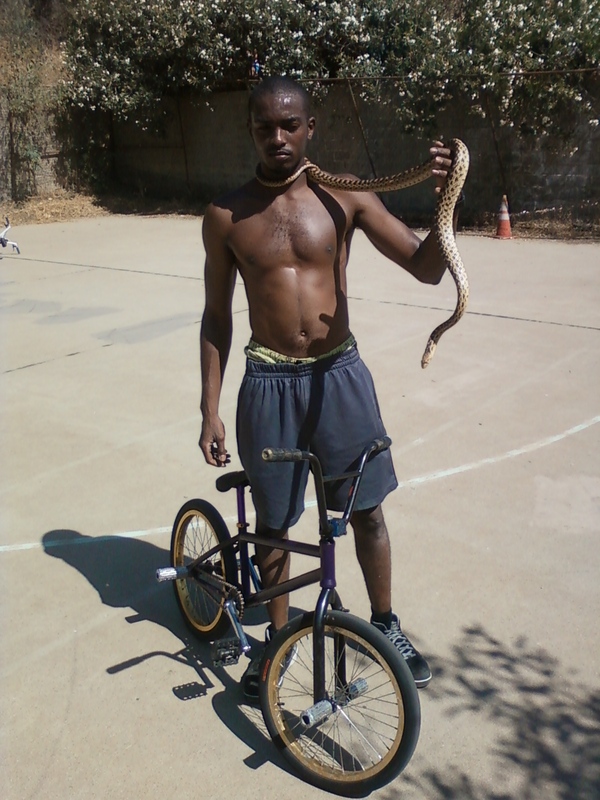 Luckily, Ahmed is a professional animal wrangler - L.A.'s Steve Irwin, if you will. He identified the snake and safely transported it back to a safe home. Venomous: Non venomous, but it's main defenses are biting, constriction, and musking (basically crapping). Where they hang: They are active by day and are found in mainy habitats like woodlands, deserts, chaparral, looking for rodents and other small vertebrates.